Recently I was on CoffeeTime Romance and a writer named Tonya Kinzer commented on my post. Since then we've emailed back and forth a bit and followed each other on Twitter :) She'll be interviewing me on her blog here on March 28th, and she was kind enough to write a guest post for me on the craft of writing. Have you ever wondered why some books are a faster read than others? Or perhaps why some books are a bit more confusing and harder to read and follow than other books? Think back on the last book you put down and never finished. Open it up and reread a few paragraphs again and see if the following isn't true. If the author is in a different character's head in every other paragraph or maybe every two paragraphs, the reader has to keep going up to reread those lines to figure out who's doing what or who's thinking what. Don't do this to your readers. Your book will end up sliding down the wall when they throw it! Try to stay in one characters head at least through a scene if not through that entire chapter. What do I mean by staying in one character's head? Let's take a peek....if you're in Tom's head and he's watching a woman entire a bar and loves the sway of her hips that is making his blood heat, your reader is getting his thoughts on how he feels and what he sees. So when their eyes finally do meet, you can NOT write that she loves his blue eyes because you're NOT IN HER HEAD! TOM can see her eye color but you can't write anything at this point of HER thoughts or what she sees. Now remember back on a book that read so fast you hated that you finished it so quick. That is because the author didn't bounce you from one head to the other and constantly make you go back and reread lines. The writing is smooth and one thought easily leads to another because they all belong to the same character. Most likely the entire chapter read that way and the next chapter may have been in another character's POV. Point of View is all about head hopping...or NOT head hopping to be exact. You know right away that Tom didn't say this and it was done without adding 'she said'. Are there a few dialogue tags you might be able to remove as you edit? I hope this has also helped you a bit. Good luck and I hope to see you around the net! Hi Shoshanna! Thanks so much for having me today! I'll be around and pop back in later! Hope this article helps a few newbies understand POV a little better! Nice article, Tonya. You handled the head hopping issue wonderfully. Thanks for being here, Tonya! Casey - thanks so much! I hate having to reread lines and paragraphs but I do understand it's not easy to get a grasp on until one totally sees the whole picture and where you have to keep the POV! As always, I am late. Thank you for the tips, Tonya. I find myself accidently head hopping. I don't mean to do it but suddenly what I think is in the main characters POV, reads like another's. 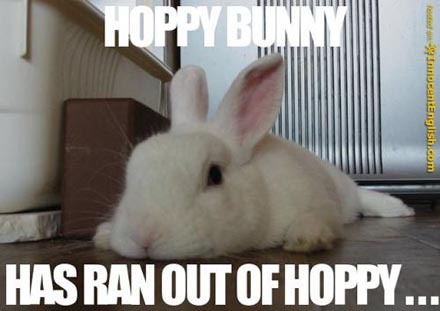 Head hopping is a pet peeve of mine too! Thanks for stopping by! Tara - POV isn't the easiest thing to master as a writer, especially when we're buzzing through a first draft and even in the second round it may not be caught. Once it's corrected, the story is so much smoother and faster for the reader. Better late than never, thank you for stopping by! JL - I'm totally with you on POV and if the story has been edited by someone other than the author, it should be picked up by someone when the head hopping is so scattered! I'm glad you stopped in and that my articled may have helped a few others, too. Shoshanna, I'm so glad I was a guest on your blog! Thank you! To those who are reading and not leaving comments - I want to thank you also for popping in! Thanks for being on the blog, Tonya! Great article!